the secrets of the Whale Sharks. 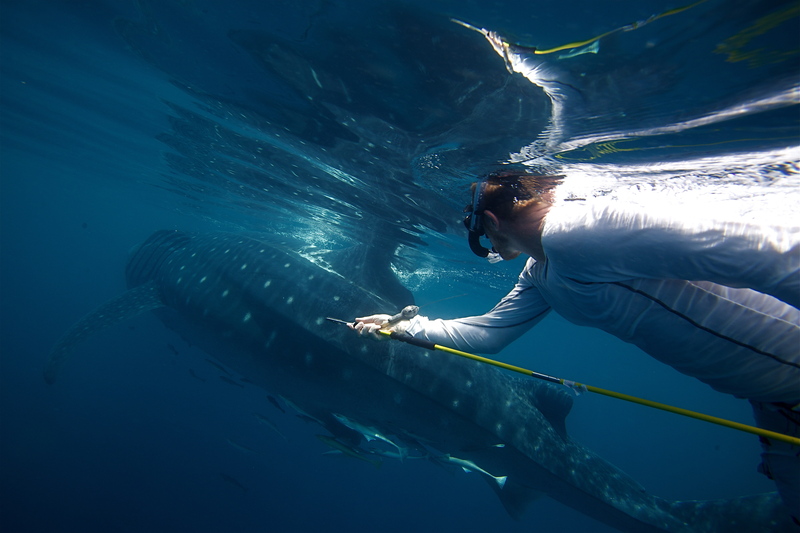 In 2010 the Qatar Ministry of Environment launched a scientific project (the Qatar Whale Shark Research project) to explore the whale shark population in Qatari waters and the reason behind the annual aggregations that take place every year. Very few places on earth can match such a display of marine giants feeding. Offshore platforms in the Al Shaheen oil field have become artificial reefs and may play an important role for attracting the whale sharks to this area. Consequently, the Qatar Ministry of Environment and the Maersk Oil Research and Technology Centre have launched a research program that will investigate the importance of the these structures for the marine biodiversity in Qatar. The Al Shaheen oil field is a great natural laboratory for learning more about these ocean giants and their lives. During the summer months an unusually high number of Whale Sharks come to Qatari waters, particularly in and around the Al Shaheen area. They are often spotted by the workers on offshore oil platforms. One of the reasons why so many sharks are present in the area may be the presence of large offshore platforms which create an artificial reef environment for fish. The area has strict fishing restrictions designed to protect the large fish. The spawning fish provide a food source for the Whale Sharks, attracting many of them to the area between May and September each year.